Several marketing opportunities are presented for your company's sales and promotional activities. 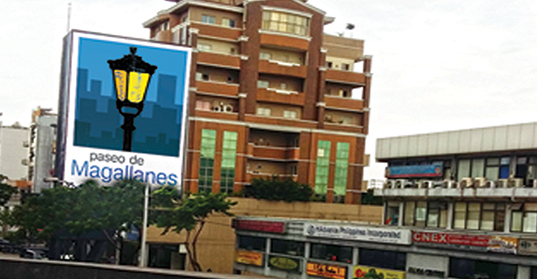 Let you company be seen around the vicinity of Paseo de Magallanes Commercial Center! An interactive LED display facing Metro Manila Skyway South Bound, this advertising opportunity has an advantageous position which caters to a conservative estimate of 153,000 passing vehicles per day which will surely give your products of services better brand awareness. Please fill up the form below and someone will get back to you as soon as possible. 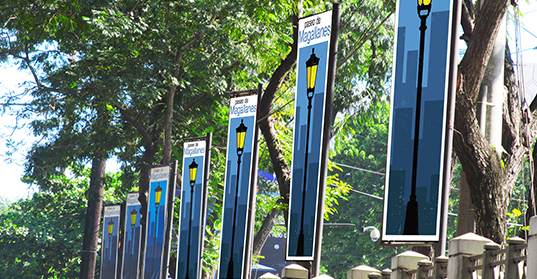 Lining SLEX, these perimeter pole banners are an effective way point indicators, creating a professional and inviting means to let visitors know exactly where your company is located. 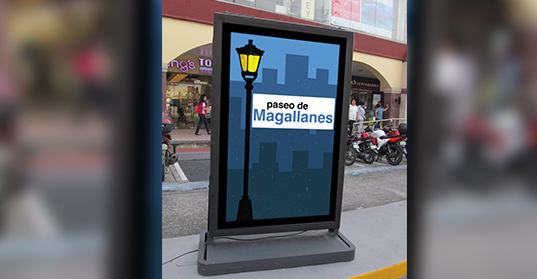 With an average of 1,200 passing cars daily through the entrance and exit of Paseo de Magallanes, this lighted advertising unit is strategically placed at entrance and exit points to provide momentum with a limited amount of five (5) slots to accommodate ample exposure time per advertiser. 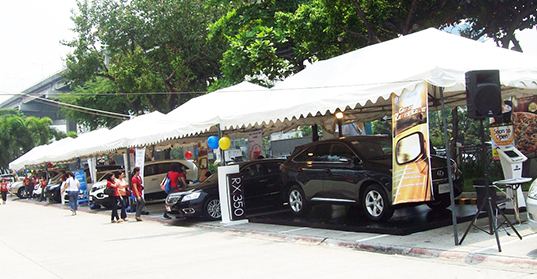 With the tent conveniently placed near the carpark entrance, this advertising opportunity provides promotion for your company through the use of banners and flyer distribution in the common areas, entrance, and exit of the carpark. 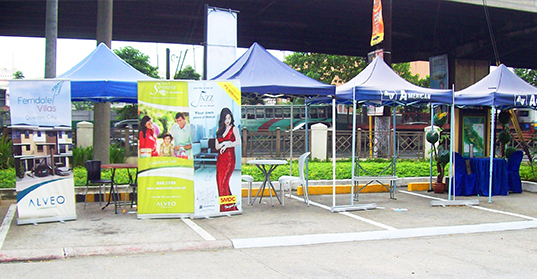 Provided with a tent, booth space, and flyering opportunities along PDMCC’s common areas, entrance, and exit of the carpark, your company may display one (1) to two (2) vehicle units either at the SLEX side or building side of the commercial center.